As a commitment to bring well-being to people, Isha Institute is offering free yoga classes every month. Most take less than 15 minutes and you can continue practicing at home. Prepare food that supports the liveliness of the body and an alert, peaceful mind. A simple and powerful meditation for clarity, health and joy. When practiced daily, this simple meditation can strengthen one’s physical and mental constitution and bring about tremendous balance and well-being. Pranic foods supply abundant life energy to the system that supports the liveliness of the body and an alert, peaceful mind. Come learn a yummy, highly-pranic vegetarian recipe that you can easily take home and prepare on your own. 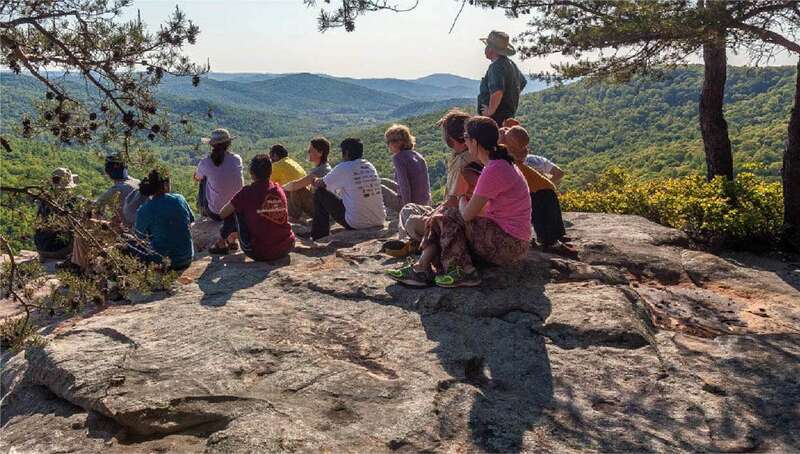 Guided hikes to waterfalls or a bluff vista. The dining hall will be open from 10am – 2:30pm for lunch and from 7pm – 8pm for dinner. Sweets and snacks for kids are available for purchase throughout the day. Food tickets are available at the Welcome Center. Yoga gear, books, and handmade crafts available at Isha Shoppe from 8:30am-8pm. A powerful meditation space open throughout the day. A physical yoga practie that nurtures the physical, psychological and energy dimensions of a human being. To help us schedule enough sessions, please RSVP if you are planning to attend this month's Free Yoga Day. 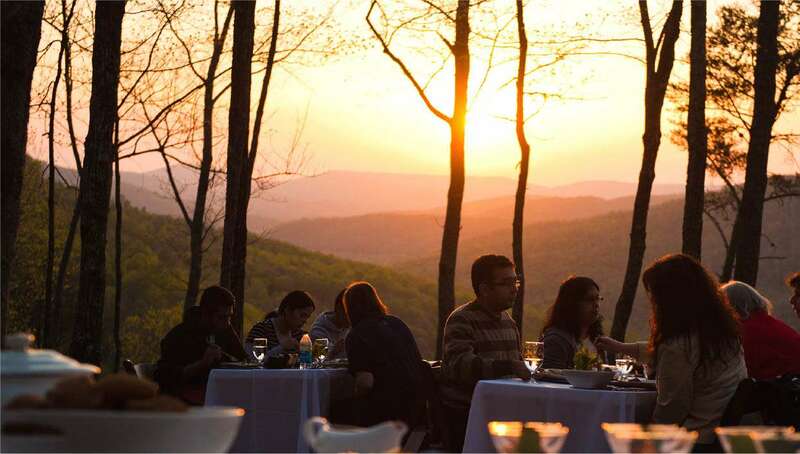 Nestled in the verdant forests of Tennessee’s Upper Cumberland, Isha Institute of Inner-sciences offers a much-needed mountain retreat for visitors looking to relax and recharge. Explore more than 10 miles of hiking trails, leading you to dramatic waterfalls, calming pools and streams, and breathtaking overlooks with sweeping views of undulating mountains. Just a 1.5-hour drive from Nashville and only 45 minutes from Chattanooga, this 1,400-acre spiritual center might feel a world away, but it’s close enough for a quick day trip.